TinyEmail is a tool I've discovered only recently for a side project. 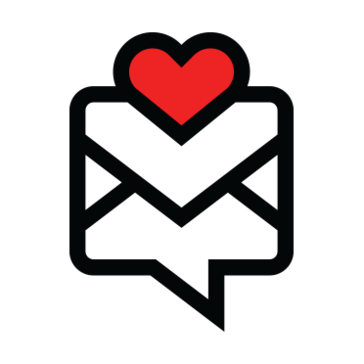 We usually send newsletter and outreach emails using Mailchimp, but for a completely separate project we've decided to try out TinyEmail as a lightweight mailchimp alternative and... it worked. TinyEmail does almost everything mailchimp can, but because it's actually lighter on the functionality it's a bit faster and easier to work with. Composing emails is fast, lists managing is simple and analytics is very useful. So i'd say its a worthy addition/replacement to mailchimp. Keep in mind that TinyEmail is a simplified version of Mailchimp, so don't expect things like advanced html template builder or pop-up subscription forms. I'm more than agree with such limitations (as that's the point of the service), but go into it expecting this. A very simple and straight-forward mass email and automation solution. Very clean and easy-to-use. Sending quick and personalized emails to follow up or reconnect with leads or potential partners. "Simple and near-perfect emailing tool"
We were using both Mailchimp and Tineletters in our emailing campaigns, but for different purposes. Eventually my team came to a conclusion that we can fully replace our newsletters needs with Tinyletters and eventually leave Mailchimp behind. Tinyletters is an extremely simple to setup and use email campaign tool. It has the built in tools to gather email subscriber's addresses and to eventually send them out email campaigns with a respective and sufficient amount of open rates analytics. Tinylettrs is very simple and sometimes too simple. While we're able to send the same emails that we were sending with Mailchimp, Tinylettrs is a lot simpler in terms the html-templated messages. You can eventually send them, but that's not the point of such solution. A perfect emailing solution for simple tasks and purposes and if your emailing list is around a few hundred thousands subscribers. Tinyletters might be more than enough for your purposes. We're sending almost all of our newsletters and automated messages to new and existing addresses in our mailing list. The limitations are fair and pricing the same. "Best Mailchimp alternative... by Mailchimp"
I absolutely LOVE TinyLetter! The premise is surprisingly simple - it's Mailchimp, but without every advance function that MailChimp has. You can send simple and free newsletters to up to 5000 subscribers in a beautiful and not annoying. Such newsletters are easy on the readers eye and a re quite simpler to compose and send compared to Mailchimp. But, what's great, TinyLetter is built on the Mailchimp infrastructure so you can be sure that your emails will be delivered and (if you did your work) will be read by the recipient. Email tracking and statistics are quite basic, but they are more than enough if you care for the general impact of the newsletters you send compared to complex marketing tuning of each work, send time, etc. If it's content that matters, this will be more than enough for you. TinyLetter, while being a free service (up to 5000 subscribers) has quite an aggressive anti-spam policy. Even if you're emails is 100% honestly not spam, their bot can get triggered and you'll have to go through the process of unbanning your account. This isn't and issue and I haven't come across it in a long time, but the new users should be aware of this. But still, if you're honest and not participating in spam activities, 80% chances that you have nothing to worry about. TinyLetter is extremely simple and easy. You might not need all the bells and whistles of Mailchimp and similar solutions. Until you try out TinyLetter, you won't know about that. The service is amazing so give it a try! We use TinyLetter to send simple and brief email newsletters to our subscribers. The service is very reliable and simple to use, with simple, yet comprehensive analytics that will help you access the efficiency of your newsletters and the quality of your emailing list. TinyLetter is everything Mailchimp is, but smaller, faster, more hassle-free and ... somewhat cute. I've used both TinyLetter and Mailchimp and (despite them being developed by the same company) I prefer TinyLetter for its simplicity. It does everything one might need when sending an email campaign, but with less frills and useless stuff, keeping the message itself front and center. There's nothing I don't like about TinyLetter. I believe it's near perfect! Simple, powerful and cute. TinyLetter does everything Mailchimp does (the stuff you actually need) without an overcrowded interface and a ton of features. TinyLetter helps me and my team keep our newsletters to customers and potential clients clean, beautiful and to the point. It's very simple to set up, the newsletter builder is very simple and anyone can handle it and yet, TinyLetter doesn't suffer because of its simplicity - it only gives it more charm. Love the smaller more intimate format of TinyLetter which has just enough functionality to keep it simple for smaller audiences vs more robust solutions like Mailchimp. If your audience size gets large it may be harder to do more automated tasks and segment your readers with advanced analytics. TinyLetter solves the problem of organizing a streamlined newsletter publishing system without having to use a tool that has too many bells and whistles. "Very effective email marketing software if you are on a low budget"
It is very hard to recover an account after being banned. If you are trying to save money, then Tinyletter is the way to go. I love the ease of use, the clean interface, and the subscriber management function. Nothing to dislike per se but would like to see more options for fonts and graphics without TinyLetter losing its simple and clean brand image. I use TinyLetter for a non-profit organization where we provide updates and insights to our members and authorized users. "Good Tool for Quick Curation Emails"
TinyLetter is super simple, just a basic text editor. You can also edit your sign up forms to match the style of your brand. You can also quickly upload subscribers and track them with basic analytics like open and click rates. It's also free! My favorite feature is that people can view archives of old sends and share those archives on their social feeds. The analytics are pretty minimal. The customization for the design of the email is super basic and you can't embed videos. You can also only have 5000 subscribers for your lists which can become a problem. Content curations for quick, weekly rounds of news and stories. I use to send out newsletter for my organization I belong to. Newsletters are easier to compose, and pleasing to the eye. That it is only for 5000 subscribers max. Simple and easy to use way to get news letters out. "Good for a basic newsletter"
TinyLetter has a clean UI and makes it easy to format whatever you need to send out, so long as it's primarily text-based. Every TinyLetter tends to look the same, as there are no real style customization options. Mainly, use something else if you want more customization. If your work is more text-based, though, this is great, albeit very slightly glitchy (not work-erasing, but I have had pasting issues at times). I use TinyLetter to send updates to a small group of patrons of my work. TinyLetter is very user friendly. Learning curve is small and seeing the working product is lovely. None. It is great for a smaller company. It's barebones and gets the job done! Nothing flashy but that's all I need for a simple newsletter. Formatting isn't always the prettiest. Good for plain text emails with minimal pictures. If you want simple, this is it. * We monitor all TinyLetter reviews to prevent fraudulent reviews and keep review quality high. We do not post reviews by company employees or direct competitors. Validated reviews require the user to submit a screenshot of the product containing their user ID, in order to verify a user is an actual user of the product. Hi there! Are you looking to implement a solution like TinyLetter?